thoughts on church, leadership, and living on mission. The AND of Church: Genius v.s. Reality. 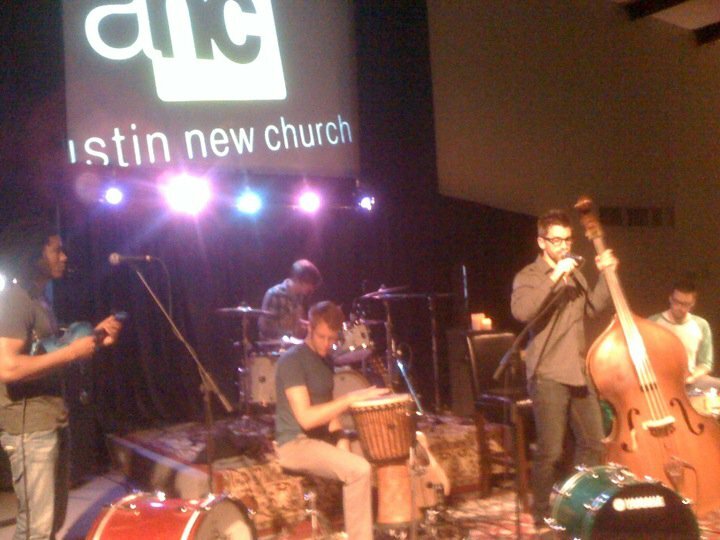 Something interesting has happened at Austin New Church. Although we are a church that values equally gathering (exaltation) and the sending (incarnation), our onlookers often assume as a service-based-missional-church, that we value mission, service, and community OVER worship, teaching, and discipleship. This is not true. In fact, our intention is to be a church where our reality is a balance between the two. I believe not only in the “Genius of the AND”, but also in it’s biblical value. I truly believe that one validates the other. But I also understand completely why people make this assumption about ANC. And it’s our fault. We do it on purpose. Let me explain: I’m right-handed. And I play basketball. My natural bent is to dribble with my right hand and to shoot with my right hand. I don’t have to work very hard to do that well. My left, however, is another story. I have to force myself to go left. I have to work extra hard, do left-handed drills, and honestly… I’m not nearly as good at it. So I have a choice. Always go right, which eventually becomes predictable and even ineffective in certain situations. Or LEARN to go left… be willing to work hard, willing to do something that makes me feel uncomfortable or even make me look a little awkward at times, willing to even fail trying, but do something I know is not only necessary but something that can be a difference maker. The gathering of the church has become our “right hand”. We intuitively (and culturally) do it well. Honestly, we do it so well… it easily becomes rote… so we spend extra time trying to keep it creative, always seeking to push the envelope to the next level. This – in itself – is not a bad thing. The sending of the church is often our “left hand”. We know it’s there for a reason. But we tend to use it only when we have to. And it’s certainly a difficult task to improve. It’s hard work. And often takes sacrifice. So we have a choice. Do we settle for doing one well and neglect the other? Or do we work hard on our weakness, shooting for a balance between the two? I’m not trying to oversimplify the conversation, but I believe this is part of our problem. We get whatever we put into it. In fact, I believe we must work harder – possibly twice as hard – at the missional elements of church to come even close to the middle. This is our strategy at ANC. We lead with mission and our hope is that worship is the overflow. So far, so good. We can’t minimize this to being just a functional move. It’s more complicated than that and there’s a reason it works. There is certainly a biblical purpose. But as church leaders and practitioners we must recognize that the GENIUS of the “AND” is a reality that very few of us actual find. And that the REALITY of the “AND” is found in identifying, working on, and playing to our “weakness”. It’s not only about what we do well, it’s what we neglect. It’s certainly more of an art form than a science and often requires an over-compensating of sorts in the direction of mission. A move not everyone is willing to make. Even as Christ followers, many of us fail at finding the balance of the “AND” in our personal faith journey. We barely give equal treatment or value to mission. Even when we do, since our natural bent is towards the gathering… we don’t land anywhere near to the middle. This is a good conversation to have. And I’m glad so many are having it. With this in mind there are two things I’d recommend to anyone seeking some answers. The first is the book “AND: The Gathered and Scattered Church” written by Hugh Halter and Matt Smay. And the second is the “AND Conference” held at Granger Community Church this fall. Over the last several years we’ve trained thousands of leaders in how to begin a movement of incarnational communities in every niche and neighborhood in North America. So far, around 25,000 people have taken this seriously and we’re constantly hearing stories of conversion, cultural engagement, personal spiritual renewal, and even a few churches that began simply because they started some Tangible Kingdom Primer groups. All movements need some ramp up time to inspire, process, and recruit people for the mission. As we mentioned in AND, each church must determine how fast to push and how many to call to this more intentional way of community. Incarnational communities are not small groups, but small groups can become incarnational communities. Small groups are typically first decision communities; by that we mean that anyone can be involved if they make the first decision to believe in God and show up. 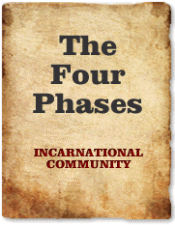 Incarnational Communities are second decision communities where the participants make a second decision to live a more intentional rhythm of Inclusive Community, Communion, and Mission together. Thus, we don’t advocate that a church try to get everyone going at the same time. For churches where there’s been very little buy-in to missional/incarnational ministry… (Read More). Thanks again, Hugh and Matt, for the encouragement. I had the honor of debriefing one evening after The Verge Conference with Alan Hirsch (The Forgotten Ways), Neil Cole (Church 3.0), Lance Ford (Shapevine), and Matt Smay (Tangible Kingdom & Missio) in the lobby of the Aloft. And by debriefing… I mean sit quietly trying to absorb what they were saying. The discussion moved far beyond theory and best practices and quickly became an absorbing of sorts of what God was doing in our city. Something special is happening in Austin. We’re not seeing this kind of partnership and momentum in other cities. I instantly felt both thankful – and honestly -a bit burdened (in a good way). I was hit by the gravity and responsibility that comes with stewarding even a shred of God’s movement. And I was thankful that PlantR is neck deep in trying. It doesn’t really matter whether you’re a part of the mega or micro-church world. It doesn’t really matter whether you’re at an established church or a planting pastor with a dream. What matters is if you’re in this city and whether or not you’re for God’s Kingdom in this city. 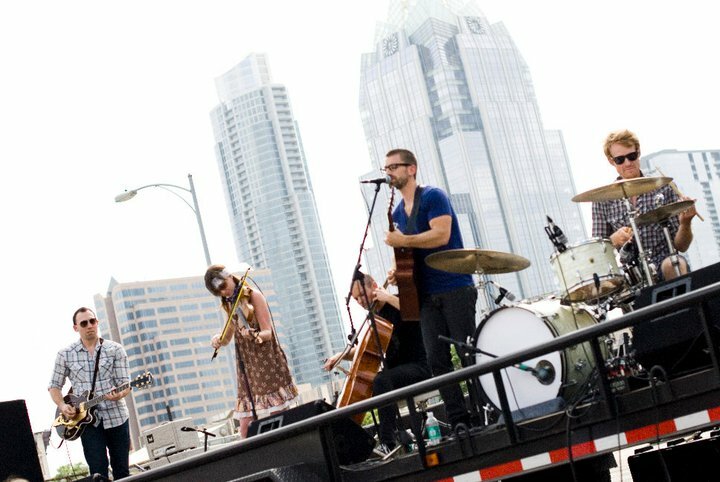 We need to take a moment and acknowledge – with thanksgiving – what God is doing in Austin. To realize that what we’re experiencing is just a glimpse of what can happen. Recognize that there were men of God praying for His Kingdom in Austin way before we were even here. Prayerfully consider what we need to do to not get in the way. And do whatever it takes to be a part of advancing what He’s already doing. 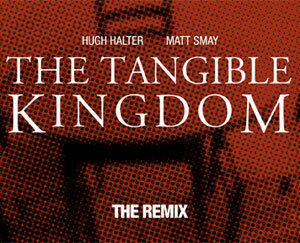 Not long ago I had an opportunity to hang out a bit with Hugh Halter and Matt Smay, authors of “The Tangible Kingdom”. I love being challenged from guys who live their faith out of the box. I love it when I’m forced to ask questions I might not normally ask. It’s good to increase our exposure. Many times it can open our eyes and take us places we wouldn’t have gone on our own. His thought was that as we think about the Kingdom of Heaven, many times we think of it as standing in opposition to the Kingdom of Hell. But that is not what Jesus called it. He didn’t call Hell a Kingdom. Jesus said that instead we should see it as a gate. He said the “gates” will not overcome the church. He drew light to the fact that the gates were keeping us from passing through and experiencing the Kingdom of Heaven. It’s not something we should just “avoid” and stay clear of. He reminded us that they are a serious threat to our advancement. Our typical response is to “Defend” our faith, our ways, our church, our tradition, our methods… but what we need to be doing instead is seeing the threat for what it is and go on the offense. I guess what he is saying is that the “best offense” isn’t always a great defense… sometimes it really is a great offense. Okay, this is going to be a weird twist of thought. But here it goes: We should learn from our enemies (The Philistines). What was the lesson to be learned in 1 Samuel 4? They saw a serious threat, they acknowledged how serious it was, and they attacked it with all they had. They didn’t dig in and create a stronger defense, instead in their fear, they “strapped it on” and attacked. in all my research the most baffling thing to me is the fact that Pastors are in denial of what’s going on in the American church culture. If the pastors are in denial, their flock will be too. It’s too easy to get tunnel vision and defend our path. I heard once that the greatest threats to the church is when we don’t think we are in crisis, when we pretend everything is going great and it’s not. When in fact the church thrives in crisis. Just look at countries where church is “underground”. They hold some of the largest churches and are experiencing some of the greatest revivals in the world. But let’s look at us for a moment. Forget the stats that say many are leaving church. Let’s take a moment to look at those who remain. Since I can remember the typical thought is that 20% of the church is doing 80% of everything, not just the giving, but the leading, the serving, living on mission, etc… in some churches it’s 10% doing 90% (and it’s been this way for a long time). Guess what? 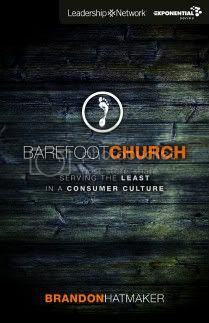 If our main goal is to make disciples and to equip the body for works of service, then what we’re doing is not working. To 80% of our people, what we say is really irrelevant to their lives. Hearts are not increasingly changing and compassion is not increasingly growing. We’ve lost ground for those who leave, for those who stay, we’re simply maintaining 20%. Are we okay with that? If any of my kids came home with a 20% on their report card, I’d have a cow. That’s not even close to being acceptable. We’re only perpetuating it if we don’t address it. It’s a fact that people are leaving the organized church in droves… let’s start looking deeper at the why. Let’s start asking some tough questions. And let’s start listening to the answers. I believe we need to look at the big picture of what God is doing in the Kingdom, and fight. We already know the answer to who wins. Jesus said the Gates of Hell will not prevail. So let’s attack them. How? How about with the methods Jesus mandated we live. How about starting with love and compassion. How about putting people before process and keeping them there. What if we took the time to evaluate where the greatest physical, emotional, relational, and spiritual needs are in our city and make a plan of attack to both meet needs and make disciples. How about we make the sacrifices to show genuine concern for others. How about a concern for the least of the least, those without hope. How about we pour into people as if we truly loved them as we love ourselves. How about we give of ourselves for others and not just our personal agendas. We’ll have to consciously fight for that, because of our selfish nature. How about we listen to the other part of Matthew 16 where Jesus reminded us that on this rock, if we trust His ways, HE not us, will build His church. He gave us the keys to the Kingdom not to “our” church. Jesus knows this goes against our fleshly nature. This is a battle we all struggle with daily, but as leaders we must work diligently to lead people towards this. It’s not only worthy of our efforts, it’s biblical, and it will work. This is a battle I find myself in the middle of, and I’m not going to stop fighting.